Diamonds are often called “a woman’s best friend” and are a symbol of love around the world. They are created over millions of years under extreme pressure and heat. The very rarest diamonds are perfect in their condition, but most have easily visible or less visible imperfections. The clarity of a diamond is a way to measure and grade its overall appearance and value. Those with the fewest blemishes and imperfections have a higher grade of clarity. This represents the lowest grade of clarity in a diamond. It means that the imperfections are easily visible to the naked eye. When examined under magnification these imperfections are glaringly obvious. Because of the lower quality of these diamonds, it also means that their brilliance and overall transparency may be diminished by the imperfections. The imperfections in this quality of diamond can also affect its durability. This grade of diamond is somewhat higher than the one mentioned above but the imperfections are still obvious to those who are experienced with diamonds. When the magnification of 10 times is used, the imperfections are obvious and significantly lower the value of the diamond. The imperfections in this diamond are not always easily visible to the naked eye without close inspection and without the experience to know what to look for. None the less, the imperfections are enough to reduce the overall value of the diamond. The imperfections in this quality of diamond are minimal and generally not visible to the bare eye. When examined under a magnification of 10 times the imperfections do become visible. This is a quality a diamond that is often purchased and is a reasonable quality but lower than those with a higher grade of clarity. These are very high-quality grade diamonds and they have no visible imperfections that can be seen with the bare eye. Even when examined under a magnification of 10 times it is difficult to see the imperfections. Often even skilled examiners do not see any imperfections under the magnification of this diamond. It takes someone with the right experience to look at this diamond under magnification to identify its imperfections. The grade of this diamond makes it highly valuable. As the name implies, these diamonds are near flawless. Imperfections are difficult to find even by experienced graders. Even when these diamonds are viewed under magnification of 10 times their imperfections are often not seen unless examined by the most experienced graders. 97% of diamonds are a lower grade than these which makes them very valuable and desired. This is the highest grade diamond that you can get. Less than 1 in 5000 diamonds are graded at this level. They are very rare, highly sought-after, and desirable. It is very important when purchasing a diamond that you do so from a person or outlet that is highly reputable such as Elizabeth Diamond Company – Jewelry. Some diamonds have been enhanced to increase their value and to reduce the visibility of imperfections. Some of the techniques that are used to accomplish this include the use of lasers to cut into the diamond so that acid can be used to reduce the visibility of those imperfections. Diamonds that have been cracked can be filled in with material that looks similar to glass which makes the cracks less visible. There are also techniques that are used to remove tainted coloration that is otherwise visible in the diamond. These techniques are often very difficult to detect except by skilled professionals. It is important to understand when buying a diamond that you know what your goal is. If you have very little tolerance for imperfection, then you might want to go for a higher-grade diamond. But the fact is that for the average person some of the lower grade diamonds have undetectable imperfections and for most laypersons, this means that for the same price you could get a much larger diamond if you choose a lower grade. As an example, if someone were to choose a VS2 over and SI1 it would cost them twice the price but for the average person the quality level would not be easily visible. And yet, if the person went with an SI1 they could get a considerably larger diamond that for the average person would appear to be much more valuable. So it really comes down to what the buyer values most. For the most discerning you may want to look for a VVS2 as these represent the top ten percent of the highest quality diamonds available. It is also important to remember that the cut of the diamond and its color also play a large role in how beautiful it looks. Certain cuts will make even lower grade diamonds look attractive as the cut hides their imperfections. 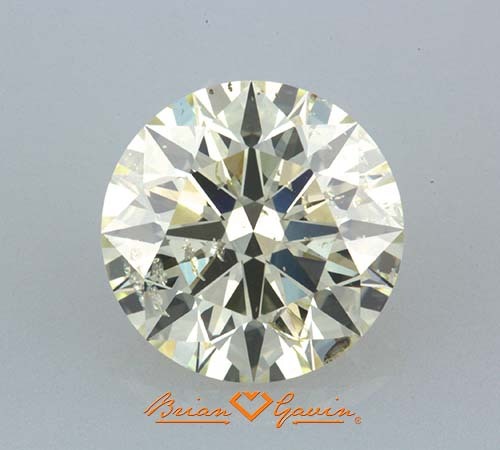 Some of the more popular cuts of diamonds such as the marquis, the round cut, and the oval are some that hide imperfections well and are popular. It is also important to note that if the jeweler ever gives you a clarity range rather than a specific clarity grade, then it means the jeweler is giving you an estimate and that the diamond has not been given a certified grade. This could mean that the quality is less than you’re being led to believe. This is why it is important that you shop for diamonds knowing what your goal is. For some, it is the true quality of the diamond and its level of rarity that matters. If that is what you are looking for, then you will want a diamond that carries a certified high grade. If you are looking for an attractive diamond that is as large as your budget will allow, then you may want to consider one with a lower grade and with a cut that hides its imperfections. Once you understand diamond grades and what it is you want in a diamond, then you can choose the one that is right for you.